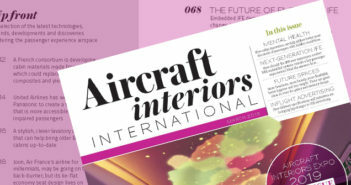 June 25, 2014 – MRO company FL Technics has been appointed as an exclusive representative of Aviointeriors, the Italian aircraft seat manufacturer. Under the terms of the two-year partnership agreement, FL Technics will act as an exclusive seller and promoter of Aviointeriors’ passenger seats and spare parts for various narrow- and wide-body aircraft, such as the Airbus A319, A320, A321, A330 series, Boeing 737, 747, 757, and 777 series, McDonnell Douglas DC-9, DC-10 and MD90 series, as well as the ATR series. Under the terms of the two-year partnership agreement, FL Technics will represent Aviointeriors in Russia, Armenia, Belarus, Estonia, Georgia, Kazakhstan, Kyrgyzstan, Latvia, Lithuania, Slovakia, Tajikistan, Turkmenistan, Ukraine, Uzbekistan, Hungary and Bulgaria. 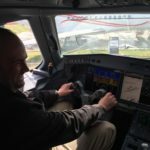 “Allowing FL Technics to offer its clients aircraft seats for economy, first and business class, the newly developed business relationship will become a new source of quality aviation products for the region’s industry players,” commented Aldas Juronis, head of components and materials sales at FL Technics.